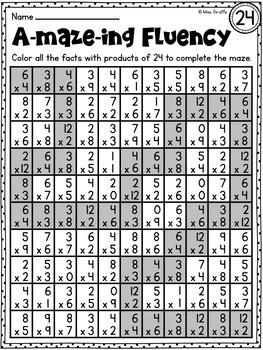 Multiplication Facts Practice: Fun multiplication games and activities in this HUGE math unit full of multiplication games, worksheets, and activities - this fun and differentiated JAM-PACKED unit is filled with 195 pages of everything you need to teach multiplication fact fluency for quick recall of multiplication facts. 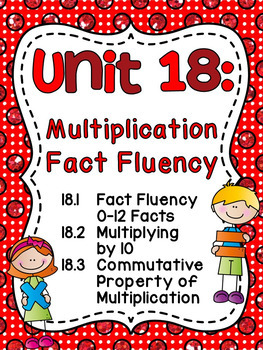 This pack covers 3 main standards/concepts: multiplication fact fluency, multiplying by 10, and the commutative property. 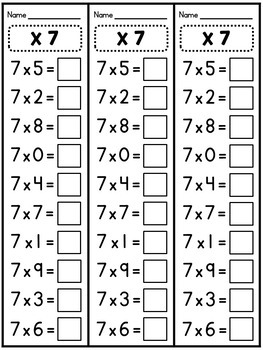 A lot of the activities are the same but for multiplication instead of addition so if you look at the activities on this post, you'll see what sort of things you're getting! This unit has a ton of differentiated worksheets (3 levels just like in my first grade math units), math stations, cut and pastes, fact fluency study materials, and 3 assessments! All of the math stations come with student-friendly guided directions, teacher directions/tips, all of the materials, and recording sheets and most of them are differentiated as well. This is everything you need to print and go to teach these fact fluency concepts - it will save you so much time! Plus, ALL of your students will be learning and having fun at their own level since everything is already differentiated for you which will make your math planning a breeze! 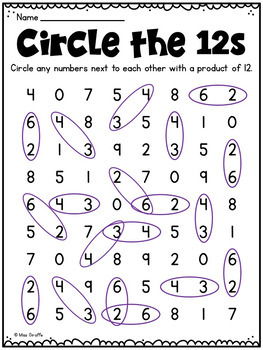 and click on the math concept you'd like to see pictures of!